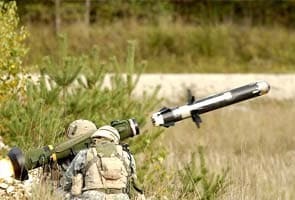 New Delhi: A proposal to acquire Javelin anti-tank guided missiles from the US has hit a roadblock over transfer of critical technology and reluctance of the American government to participate in the field trials. India is looking to acquire the third-generation anti-tank guided missiles for modernising its more than 350 Infantry units and provide them the capability to destroy enemy armoured regiments. The US is not agreeing to provide critical technologies of the missile demanded by India and has also shown reluctance to make available the missiles for being evaluated by Indian experts in the field trials, sources told PTI. 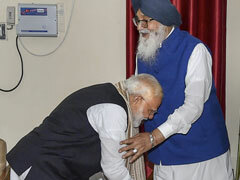 Till the time these issues are sorted out, it would be difficult for the Indian side to proceed further on the deal, they said. In response, US missile manufacturer Raytheon said, "The Javelin JV stands ready to respond to all requests of the Indian government relating to the evaluation and procurement of the combat-proven missile while ensuring it adheres to a US and Indian governments' agreement." The Javelin missile is manufactured by a JV of Raytheon and Lockheed Martin but sold to global customers through the US government under the Foreign Military Sales route. The company said the missile was a superior solution on offer to the Indian Army and was "worth the wait as the two governments continue discussions." Javelin along with the Israeli Spike missile was planned to be evaluated by India for the requirements of its infantry units. The deal has been stuck for more than two years as Defence Minister A K Antony had said in August 2010 that a Letter of Request would be sent to the US for procuring these missiles along with Transfer of Technology requirements.